Its that time of year folks when I watch all the sappy Holiday romances I can find, read all the sappy Holiday romances I can find and in general just drown myself in Christmas cheer because everyone knows that’s better then dealing with reality. Instead of individual reviews for every single book or movie I watch I’m going to do a weekly wrap up. Some will have links to the longer reviews on Twitter or Goodreads, some won’t, but let’s keep this fun without too many rules huh? I didn’t actually finish any book this week! I’m in the middle of a REALLY long collection (1600 pages!) and its been slooowww going. Single Mother Jen hates Christmas because her ex-husband was a louse. She wishes to make it merry and magical for her young son, but can’t find her mojo for it. Meanwhile Chris (Kringle), Santa’s son comes to the podunk town to find his Mrs. Kringle (against the literal advisement of everyone). Magic sparks fly (literally), but can Chris win Jen’s Bah Humbug heart or will she go for the stable, non-dreamer Sam? 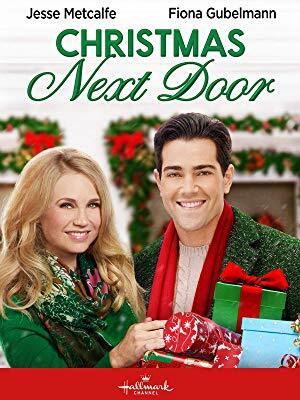 Twitter Thread / The only good thing in this entire movie is Matthew Lawrence and the occasional asides he has with Gary, the Christmas Elf tasked with the unlucky job to follow him around as he tries to woo Jen. 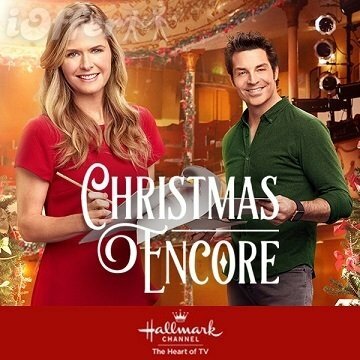 I’m pretty sure this wasn’t a REAL Hallmark film – the production values (as in, the cast chemistry and overall presentation of the film) are no where near their standards. Matthew Lawrence please just join Hallmark as one of their leading men. Eric, author of wildly successful Bachelor Living Guides, is having a stroke of Writer’s Block as Christmas approaches. Tasked with supervising his niece and nephew, he’s at a loss as to how to make their Holidays as good as their stuck in Norway parents would. Thank goodness his neighbor April, a professional violinist, is a Christmas miracle waiting to happen. Will Eric learn to enjoy the holiday season and give up his ramshackle (but awfully pricey – seriously those houses are HUGE) ways? Will April get over her stage fright long enough to audition for the Orchestra job of her dreams? Is this even technically a romance? Twitter Thread / It took a little while for me to get into it, but I really enjoyed this one. Jesse and Fiona really have a nice chemistry, plus the kids were ADORABLE. Not annoying, not weird, just…they felt like genuine kids. I do kind of squint my eyes a little at the author stuff, but whatever artistic license right? Abby is in a rut – professionally, personally and basically in general. Her best friend since forever Josh returns home from his super amazing exciting 18 month long Journey of Awesome Travel Blogging ready to settle down…but Abby just sees him as a friend. In steps her grandfather who has a special gift for her from her recently deceased grandmother. It helped her grandparents get together so maybe the magic will work twice? Straight up guys I’m not sure how I feel about this film exactly. Its not…bad, but it wasn’t engaging enough for me to concentrate on just it and not the project I was working on. I somehow managed to tune out the entirety of Abby and Ty’s (her other love interest, played by Ethan Peck he of the “10 Things I Hate About You” show – of which I loved him in – and soon to be the newest version of Spock) dating? And they seemed to have dated for at least two weeks pretty heavily. I was rooting for Josh, but I didn’t feel Abby deserved him in the end. Her about face was unbelieavable – we were given no indication throughout the movie that she had EVER felt that way towards Josh. No mentions of “I thought maybe at one time” or “You know I thought about it but”. Every time someone said “why haven’t you two gotten together yet” her reply was “because we’re friends”. In the end I can’t recommend it despite the fact it does feature way more diversity then we normally see in these types of films. I liked Josh, I liked the Grandfather, I even liked the relationship between Abby and her sister, but I just could not buy the romance. Charlotte is a struggling actress in New York, losing hope in her dreams every failed casting call audition. Julian is a successful TV Actor just come off a 5 year show looking to revitalize the theatre he grew up in and his father helped build. When the opportunity to reinvent “A Christmas Carol” comes along can a Christmas miracle not only convince these two that playing it safe isn’t what they should do? Very Small Twitter Thing / It took me a little while to get into this. Brennan Elliott isn’t my typical Hallmark hero, but I love Maggie Lawson so much. She is truly a delight in every scene she’s in. I have to remember that movies that premiere on “Hallmark Movies & Mysteries” are not necessarily romances, though they may HAVE romance (which thank you Hallmark and Lacey Chabert for breaking it down for me) fairly often. That’s all folks – way less reading then I would have liked (I have 185 books that I haven’t read; all of which are Winter/Christmas/Holiday themed), but I’ll make it up don’t you worry.